This icon is displayed only for Clan members. Clicking it takes you to the “Help Clansmen” menu. 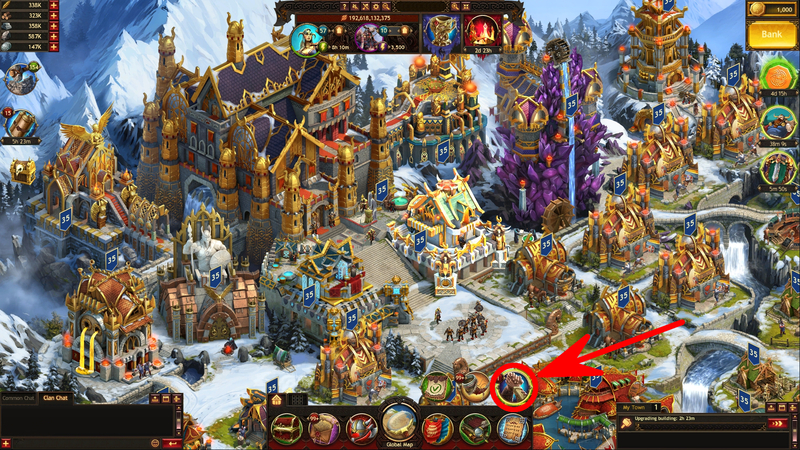 There, by clicking a corresponding button you will be able to aid the gaming processes of your fellow clansmen.